Taking a boat ride is without a doubt the best way to see the stunning Bacuit Archipelago and witness the best of Palawan's nature. Read on to learn more about choosing the best El Nido boat trips for your next island holiday! When it comes to the time of creating your dream tropical vacation in Palawan, one of the biggest decisions will be choosing the best guided El Nido boat trips. Whether you’re snorkeling or scuba diving, a boat tour represents the highlight of your vacation in the Philippines. El Nido stretches across 45 islands and islets with pristine beaches, enchanting lagoons, and diverse marine life. Taking a special boat trip is the best way to appreciate and marvel at the iconic spots of the Bacuit Archipelago. You can take a sightseeing tour on a traditional boat called “Bangka” with the Filipino crew for a more authentic experience. And no matter where you go, you’ll surely be taking a boat ride with the locals to see different islands. There are various guided boat trips you can take that let you enjoy a full day of sea, sun, and sand. However, it can be daunting to choose with all the tour operators in town. But one thing’s for sure, there are special boat trips that can cater to everyone’s interests and precise needs! Where to Book El Nido Boat Trips? Booking a boat tour in El Nido can be overwhelming that all you need is a decent and reliable tour operator. However, finding the right tour operator is like finding the right doctor. Your leisure time is one of your valuable assets so you can’t just trust anyone with it. Make sure to choose a tour operator that offers something different, high-class service, and good value for money. A sustainable tour operator that promotes ecotourism, authentic experiences, and operates tours for small groups only. And to make the most out of your holiday, it is wise to choose the right company for your El Nido boat trip ahead of time. They take the hassle out of your travel and lets you focus on the actual experience. There are various boat tours in El Nido depending on your interests. Would you like more snorkeling, kayaking or sightseeing? Do you want more water activities or some hiking in between? Make sure to choose a Palawan travel agent that greatly considers your interests and specific needs. With personalized El Nido boat trips, you get to discover the most beautiful islands in the region. It’s best to work with a local expert to help you narrow down your options early on. In this way, you can be assured that you no longer have to make the decision when you arrive in El Nido and save precious holiday time. Most locals will tell you, to really experience El Nido, you must get out on the water. There is no better way to capture the feeling than by taking a private El Nido island-hopping tour. 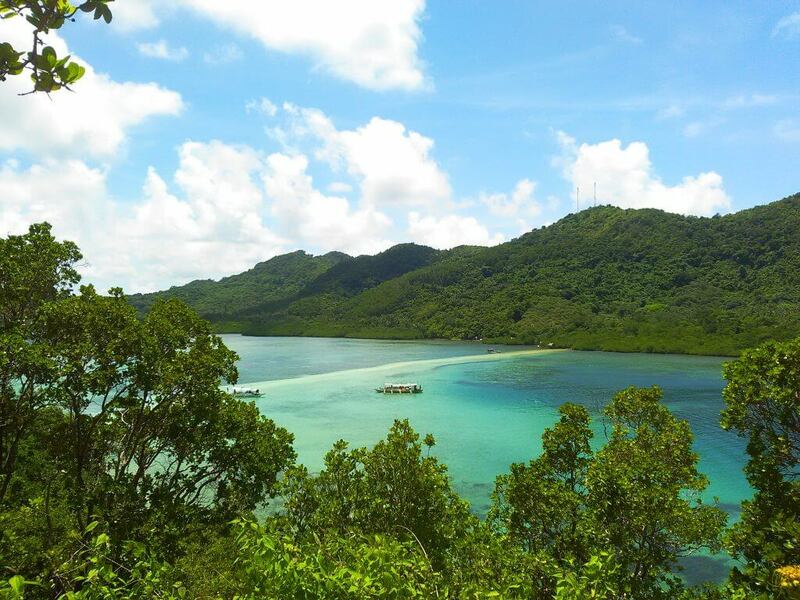 You will appreciate the iconic spots of Bacuit Bay without the crowd and touring boats. It’s an opportunity to relax, unwind and enjoy the best of El Nido’s nature with your friends and loved ones while being pampered by a personal guide and professional crew onboard. The service is tailored to your needs. The ability to set your own itinerary and your own pace make your El Nido boat tour unique. No eating on a schedule, no waiting time, and you don’t have to share your space with a bunch of strangers. Remember, it’s your holiday, your design. You have a say in everything. And for a hassle-free trip, make sure to work with a local expert when chartering a crewed boat for your El Nido boat trips. These days, El Nido is taking sustainable tourism seriously after the apparent effects of mass tourism on the environment. There are now rules for limits or carrying capacity. And this is just one reason why it’s best to book your El Nido boat tours in advance. Aside from a hassle-free vacation, booking ahead of time ensures that you’ve reserved the government permits and tour slots especially during the peak season. You also need to take your time in deciding which tour company delivers high-class service and professionally takes care all the aspects of your trip. For traveling families, small groups or couples, planning a vacation in Palawan requires optimal time to get the best boat trip deals possible. The preparation is all worth it. It lets you meet your travel goals as well as your budget. So, why not jumpstart on your El Nido vacation by booking ahead of time? A Palawan travel agent can make all the difference in your travel planning. Do El Nido’s Boat Tours Run All Year? The dry season (roughly November to May) is the best time to travel in Palawan. During this period, the temperatures are ideal for fun and sun activities, and rainfall rarely occurs. Some people still take the risk and travel during the low season (June to October) as this is when you can usually get low flight prices and best hotel deals in El Nido. However, it is not recommended to travel during the rainy season as the boat tours often get canceled due to the sea and weather conditions. Most people visit Palawan during the high season (March to May) when it gets really warm and the sea conditions are ideal for sea travel. Karen is the local expert and itinerary specialist of Palawan AlterNATIVE. When she’s not traveling, she likes to immerse herself in a good book or blog about her life. Parts geek, parts scuba diver. Her other obsessions include things-to-do lists, cycling, solitude, and cryptocurrency. She currently lives with her cat in El Nido.